And everything where you can find it. Gradelink doesn’t just jam information and functionality in to meet requirements. We carefully assess the need, impact and placement of features before adding them, and we’re continually refining our rich interface to better serve busy admins. Naturally, you can track enrollment status and store multiple contacts, addresses, demographic and academic data for each student. This information exports to Excel, drives a bevy of printed reports, and yes, helps you stay compliant. But it’s all within easy reach, because at the end of the day, how usable is data you can’t find? To have lesson plans, parent communication, family info, and grading all in one place has made my job much easier! Thank you, Gradelink! 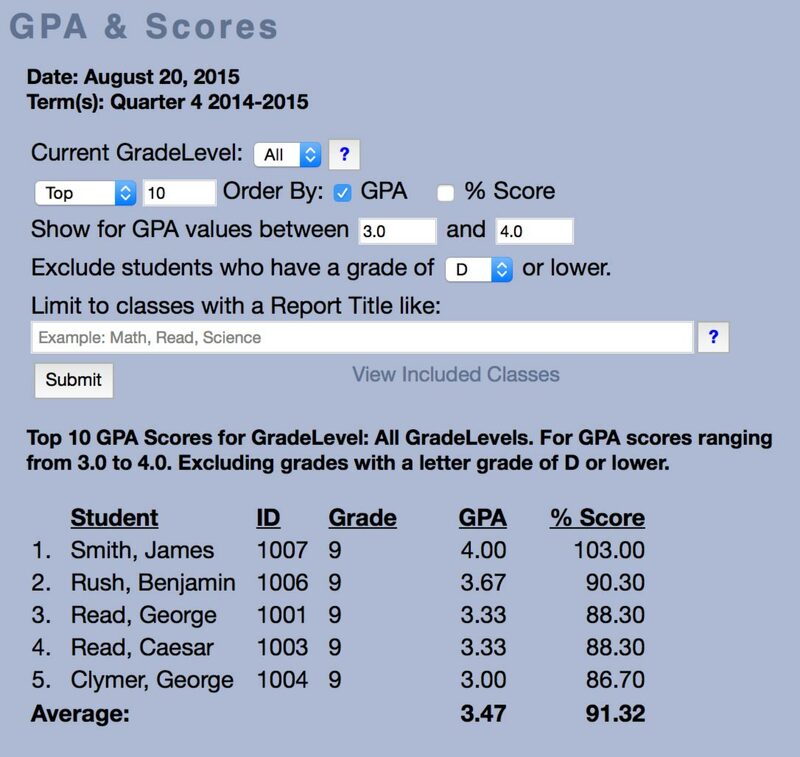 Once your student information has been entered or imported, you’ll get access to over 50 different reports on demand, including Top Attendance, Rank by GPA, Class Averages, Sports Eligibility and many more. Track rich detail that your school needs without being overwhelmed by things you don’t. Choose to store medical issues, financial aid data, birthplace, religious information, bus/carpool groupings, language proficiency, documents received and more. 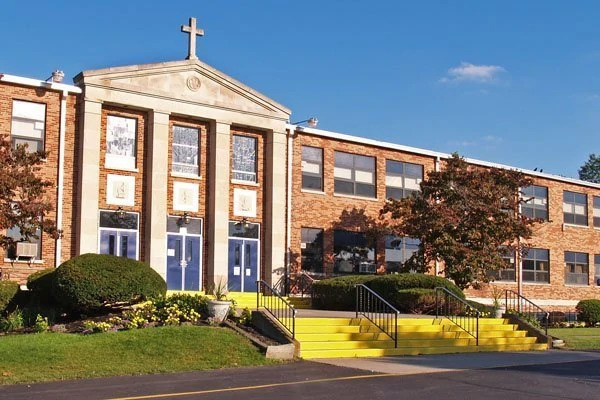 Superintendents can access student information from any school in their district/diocese with Gradelink’s District/Diocesan gateway. 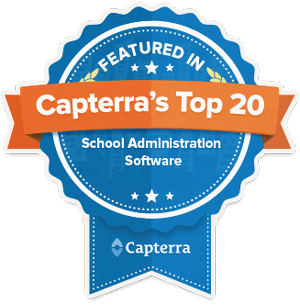 Get on-demand access to powerful reports across all your schools, including demographics, academics, attendance, and student data. 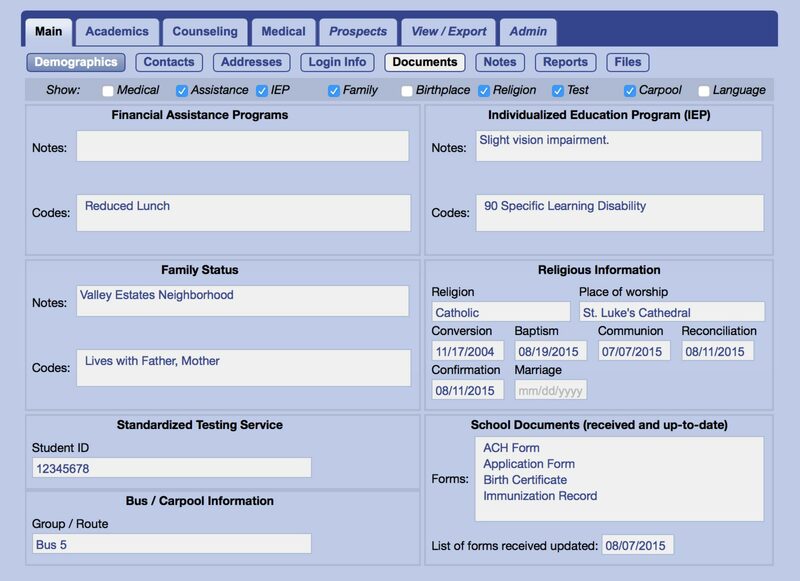 Reports can be run for the entire district/diocese, or for specific sub-groups which can be configured by the superintendent. Click here to learn more. 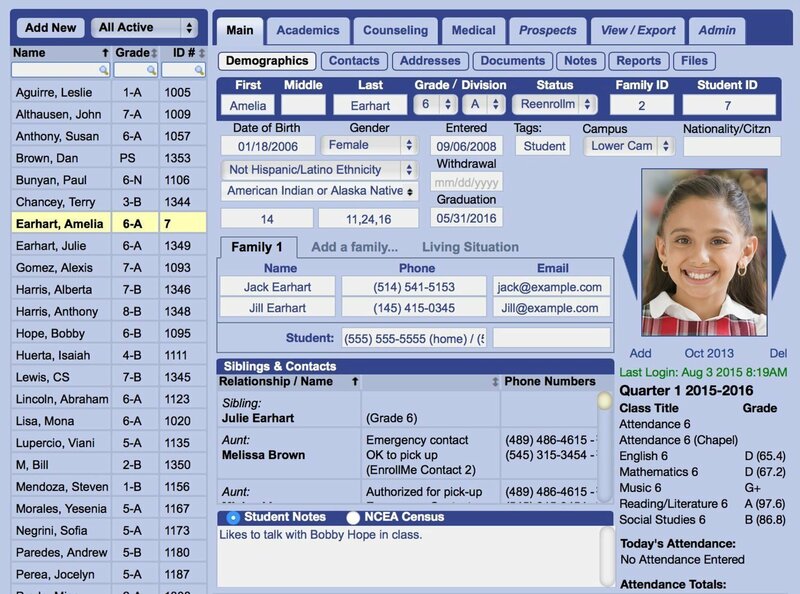 This software is designed to meet the needs of today's educator. It offers multiple components which enable us to efficiently administer the day-to-day operations of our school.